is a great winter accessory. Whatever your style our mens scarves are both stylish and warm. 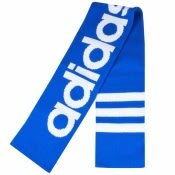 We have a large range of designer scarves all handpicked from the biggest brands such as Lyle and Scott, Hugo Boss and more. Whether you prefer a knitted, silk or luxury scarves we have a scarf for you.